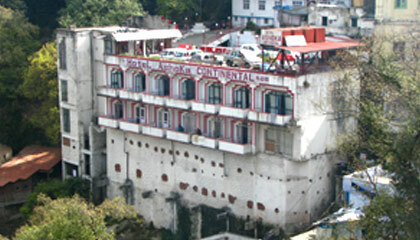 Locational Advantage: Hotel Ashoka Continental is located in the heart of Mussoorie with a view of Shivalik Peaks. 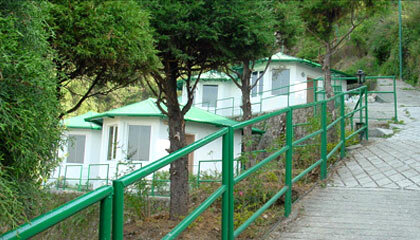 Locational Advantage: Avalon Resorts is located close to the Mussoorie Bus Stand. Locational Advantage: Hotel Classic Heights is close to the Library Bus Stand. Locational Advantage: Connaught Castle is close to the Masonic Lodge Bus Stand. 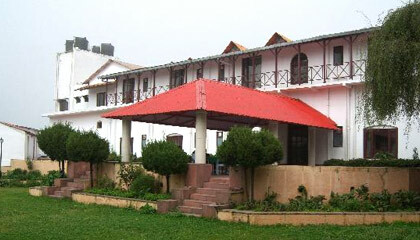 Locational Advantage: Country Inn Mussoorie is located overlooking the Mussoorie Lake and the Doon Valley. 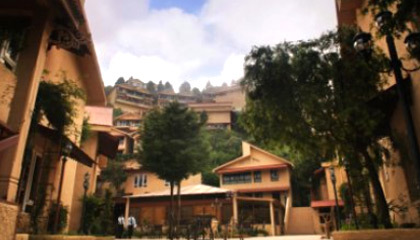 A major vacationing recluse for burnt out city-dwellers, the hill resort of Mussoorie in Uttarakhand is fondly known as 'The Queen of Hills'. With an unmatched landscape, strewn with some famous tourist spots, the town pulsates with a large number of tourists every year. Its close proximity to the beautiful valley of Dehradun (34 km) adds a feather to its already colorful cap. Located in the hilly terrains of the Garhwal region, Mussoorie seems like bedrock of beauty and tranquility. Be it visiting the place with your family or taking a break with your friends or beloved, Mussoorie provides you with a cathartic experience that will leave you nostalgic once you are back to your city shack. 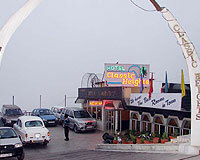 Once you reach Mussoorie, you can easily locate a hotel for yourself. There is a whole string of hotels placed across the town. You may pick a quaint looking bungalow-type hotel or a grand-looking luxury hotel; choices are many. You may even pick a hotel in the bustling Mall Road, or choose one at the quiet stretch of Camel-Back road. Some luxury hotels that will provide you an enriching experience are 'Jaypee Residency Manor', 'Avalon Resort' and 'Surbee Resorts'. Deluxe hotels (like Padmini Niwas and Oasis Resort) and standard hotels (like Honeymoon Inn and Hotel Emerald Heights) are also available. If you are looking for a budget stay, you can choose from a wide range of budget hotels (like Hotel Ashoka Continental and Sterling Resorts), that offer an affordable and comfortable stay in the place.